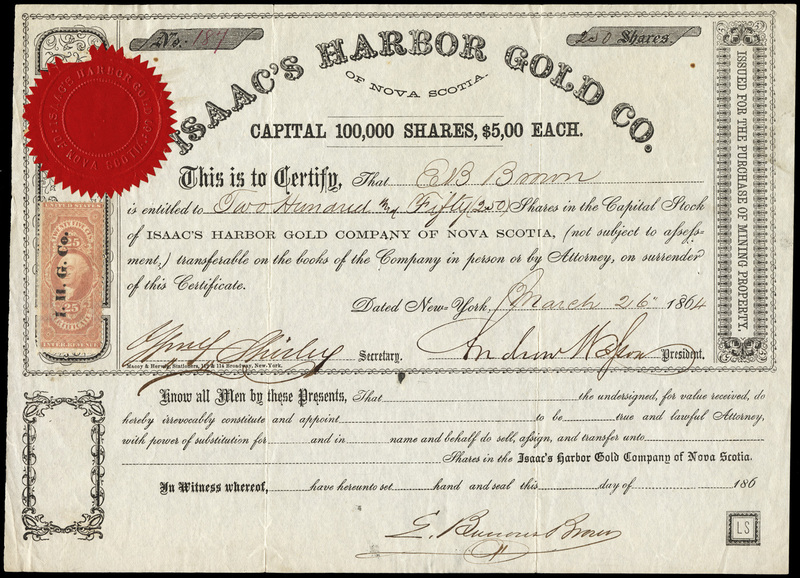 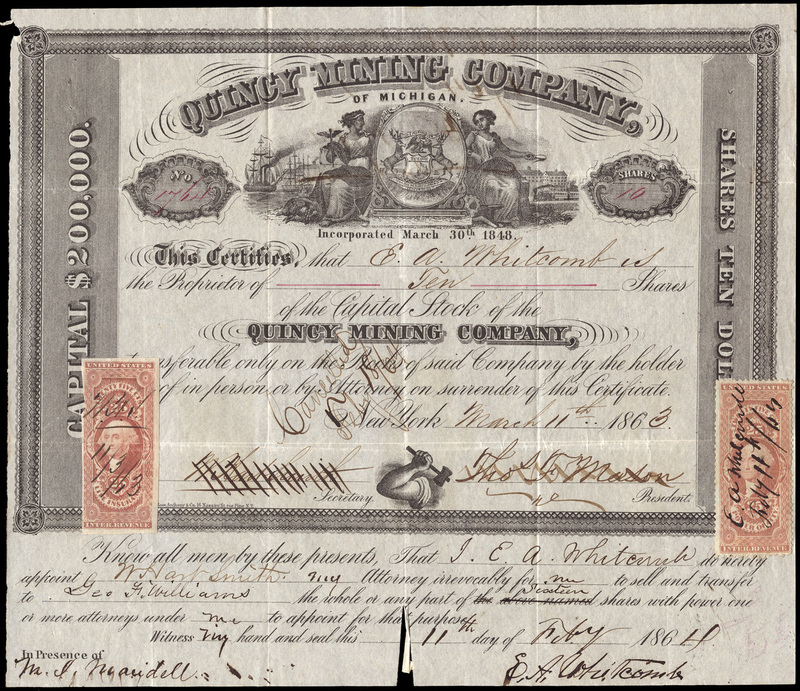 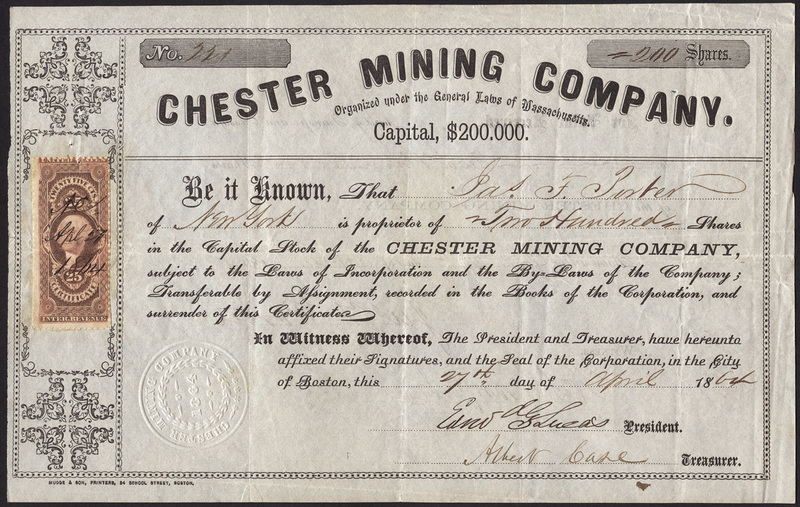 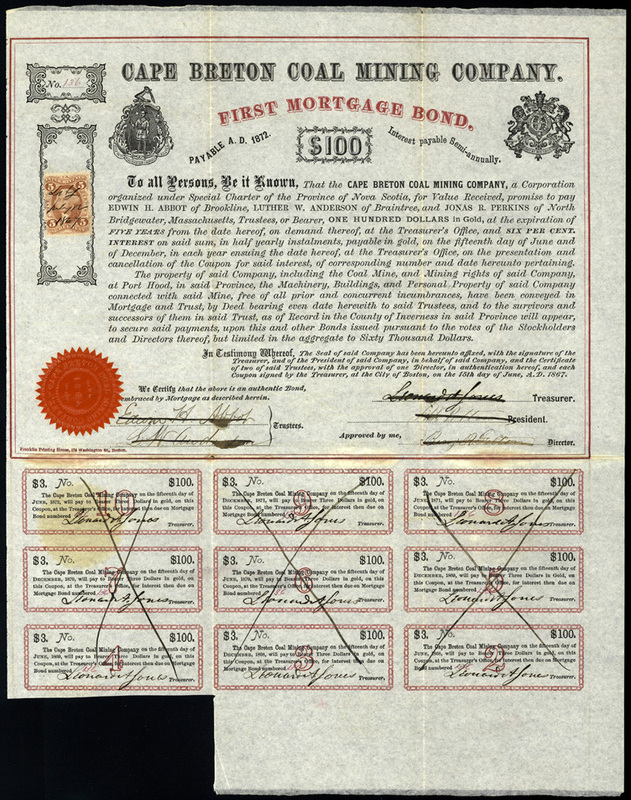 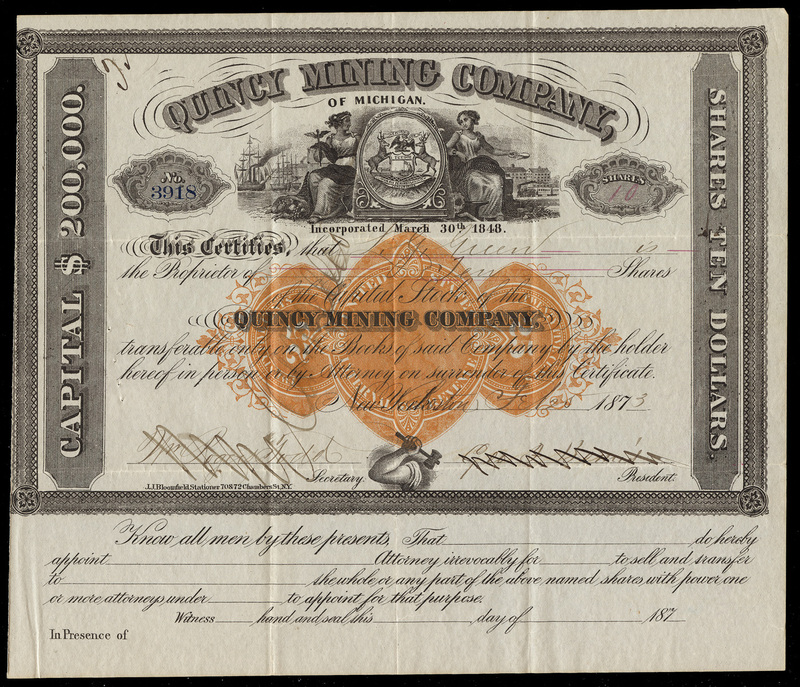 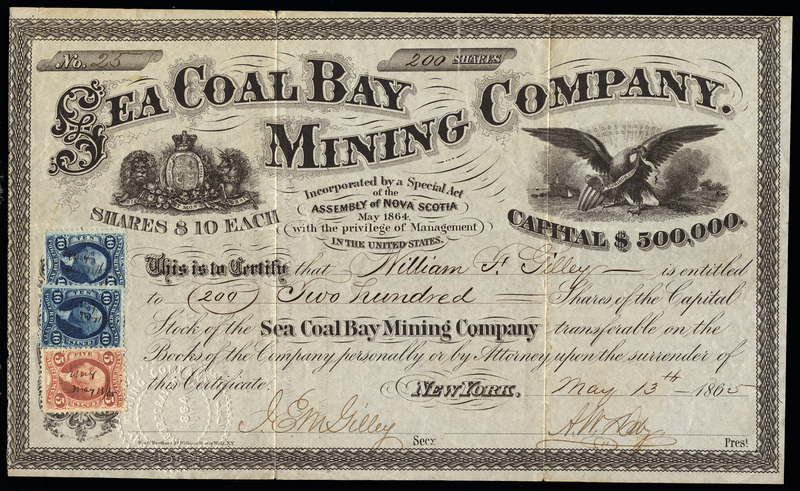 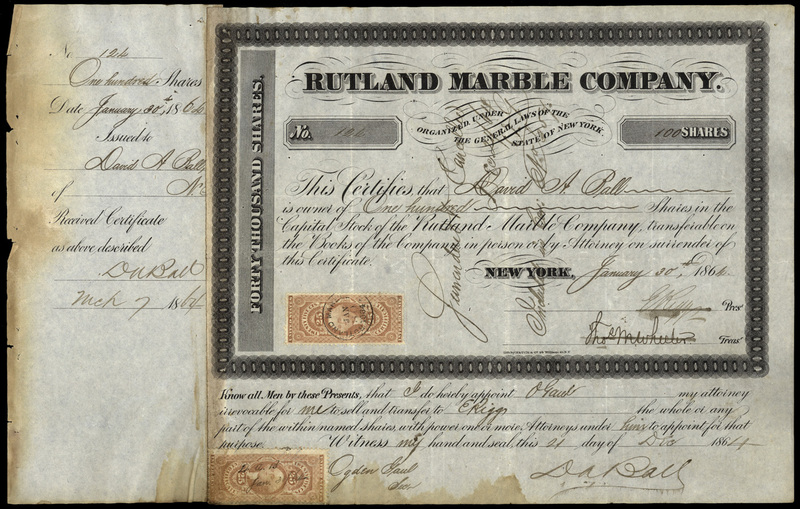 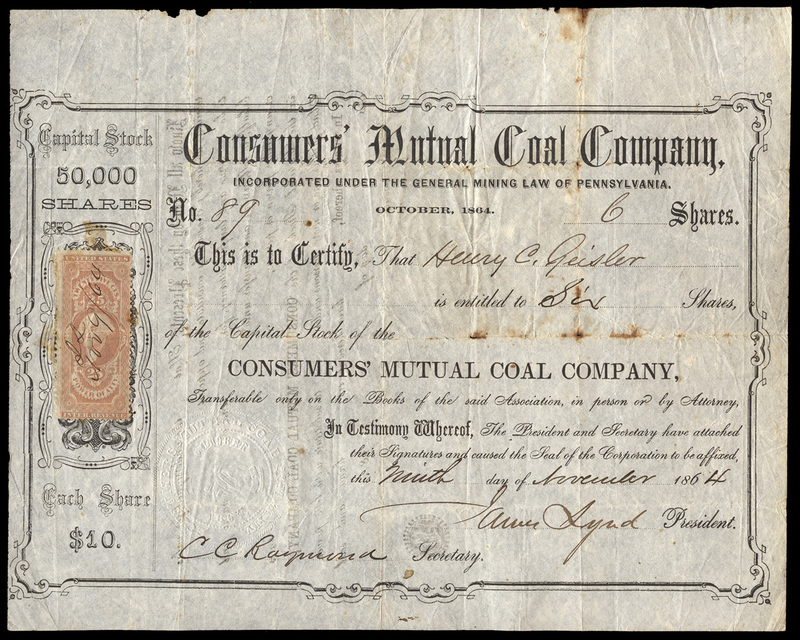 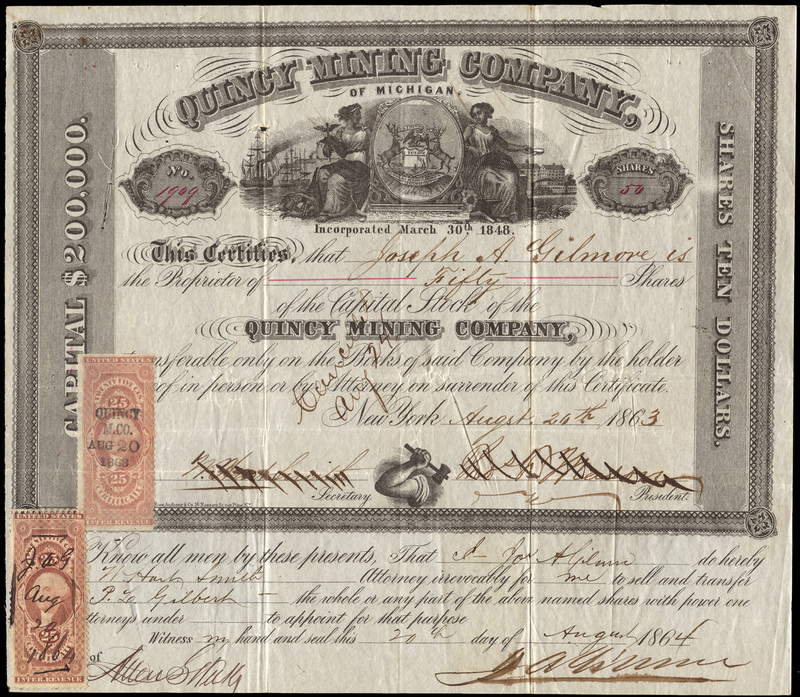 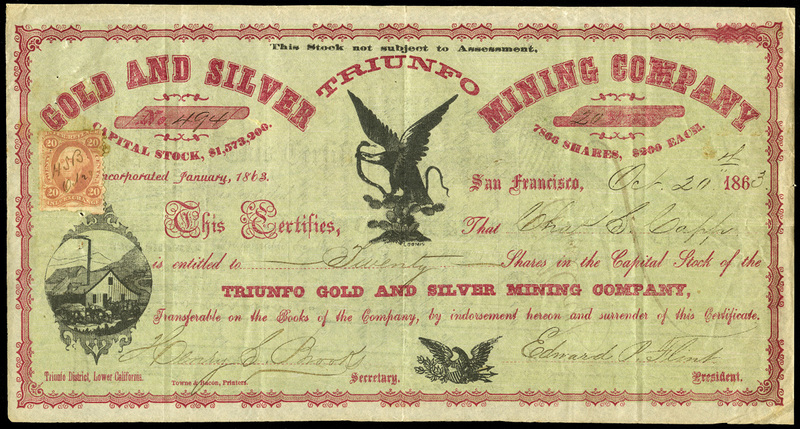 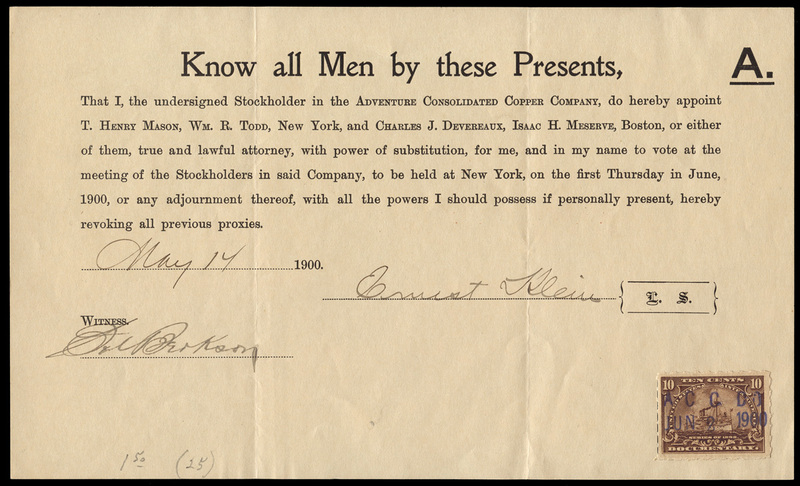 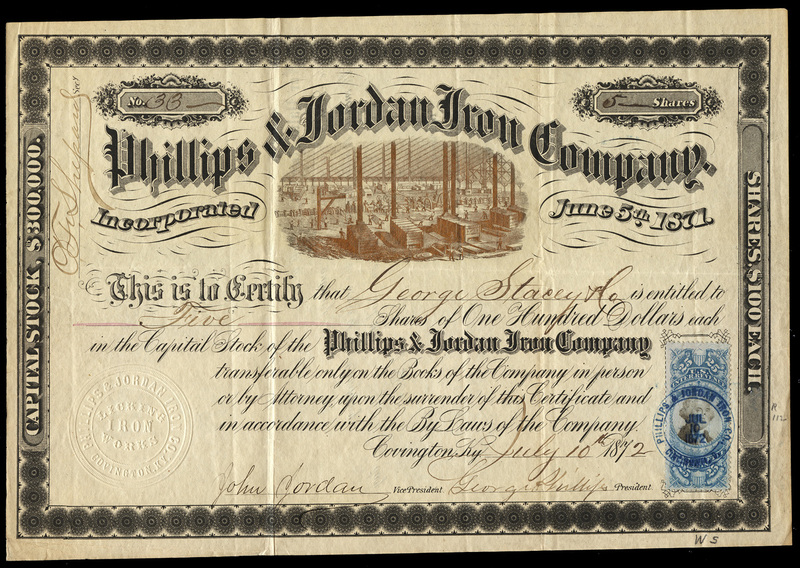 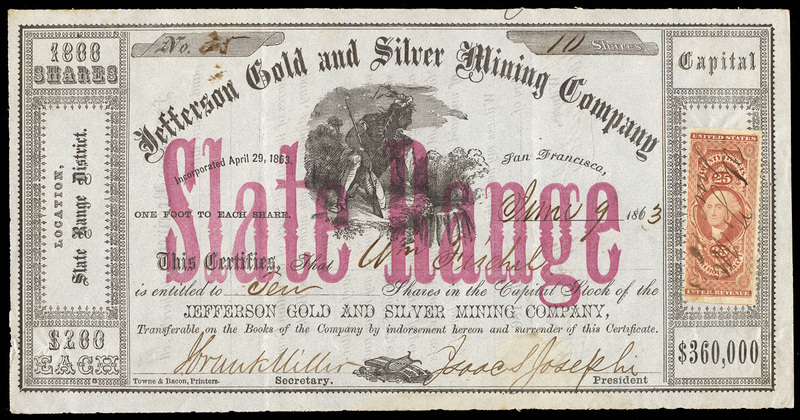 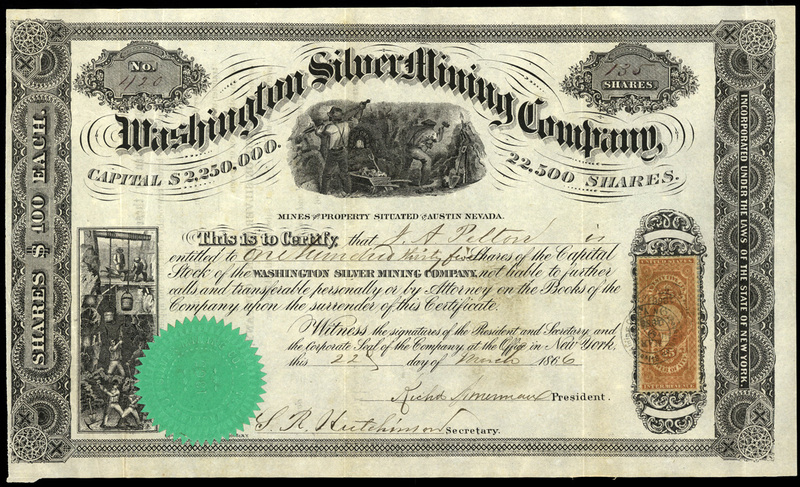 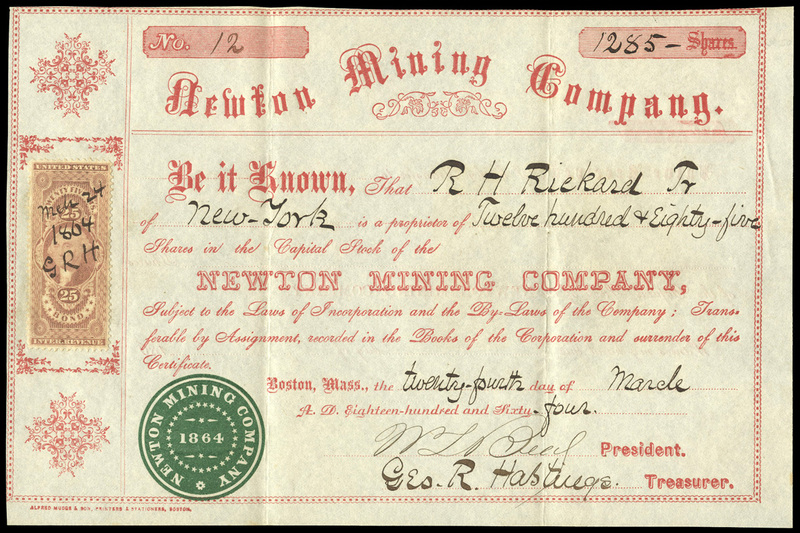 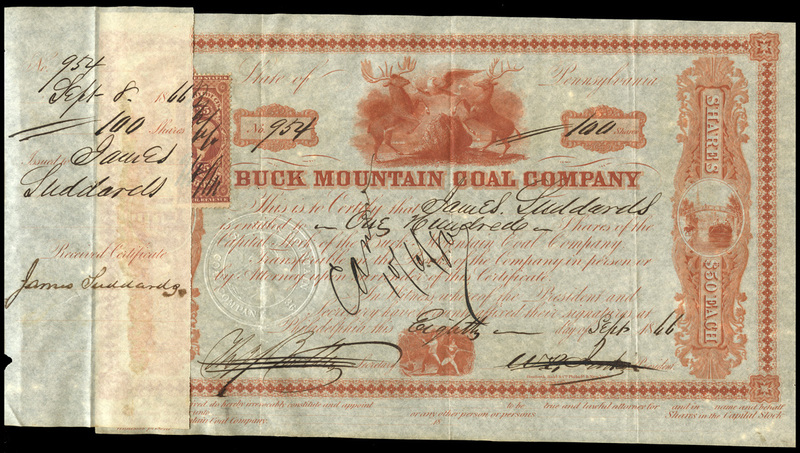 Checks, scrip, and stock certificates from mining companies are highly sought after. 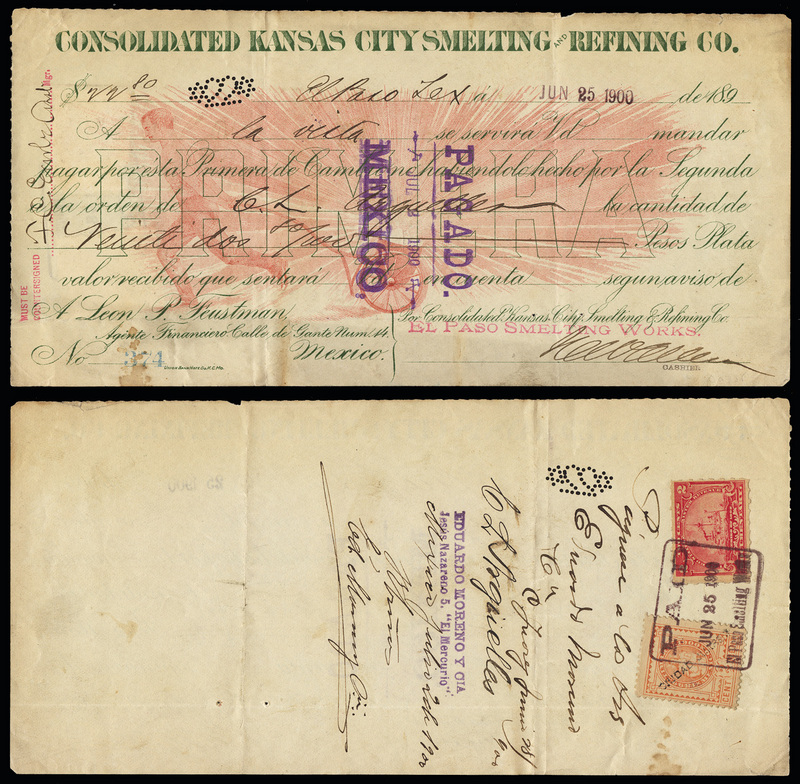 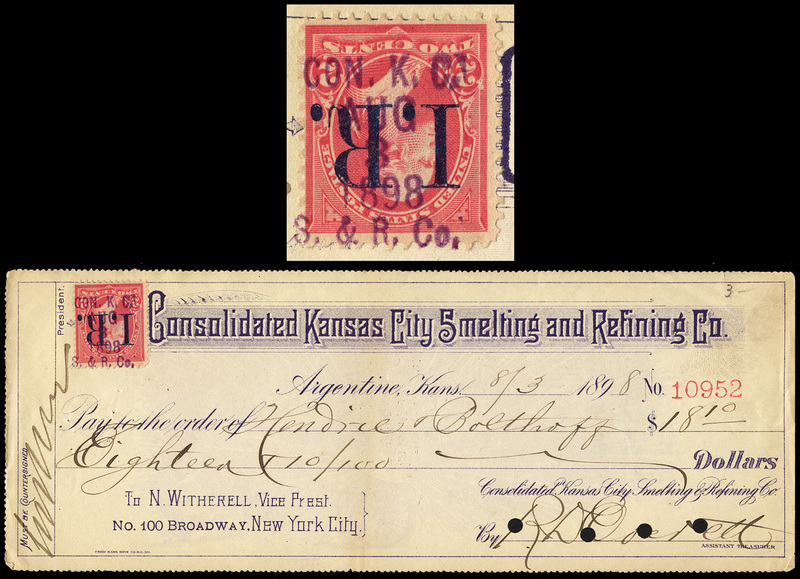 Bannock Ditch & Mining Co.
Cape Breton Coal Mining Co.
Consolidated Kansas City Smelting and Refining Co. 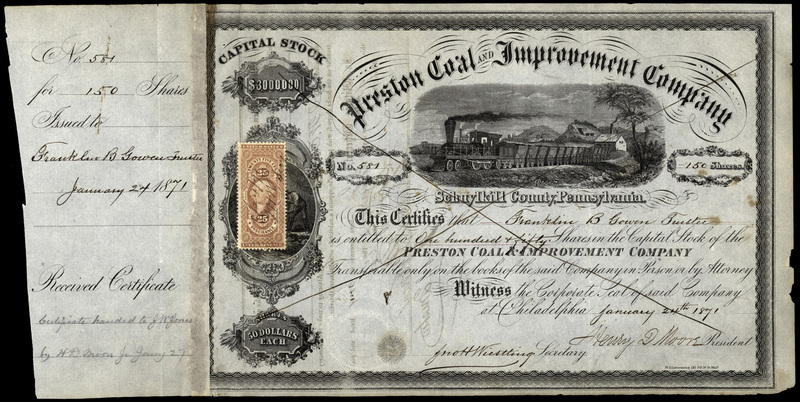 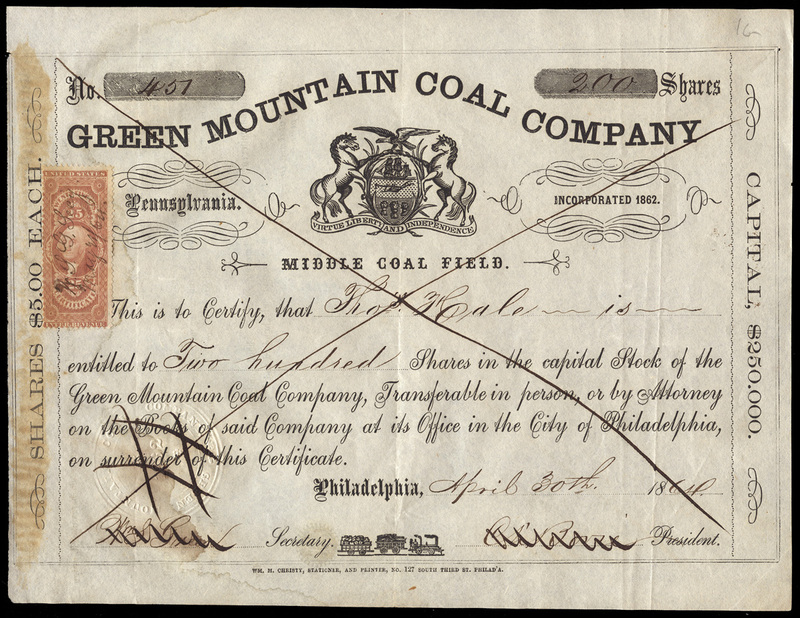 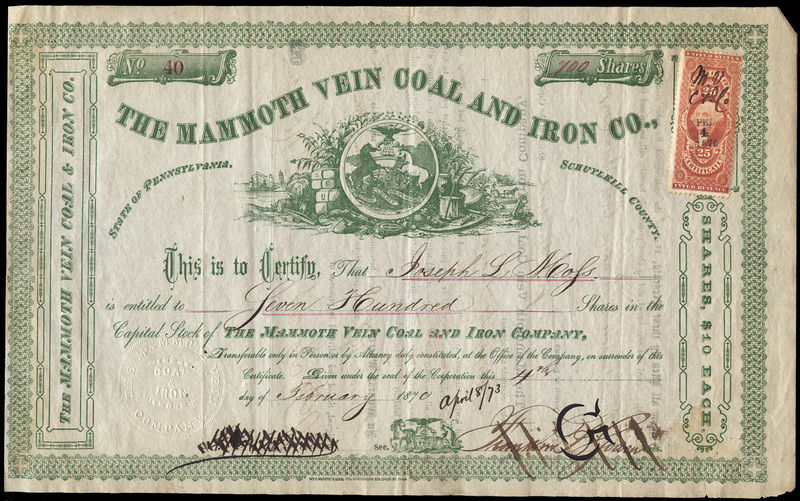 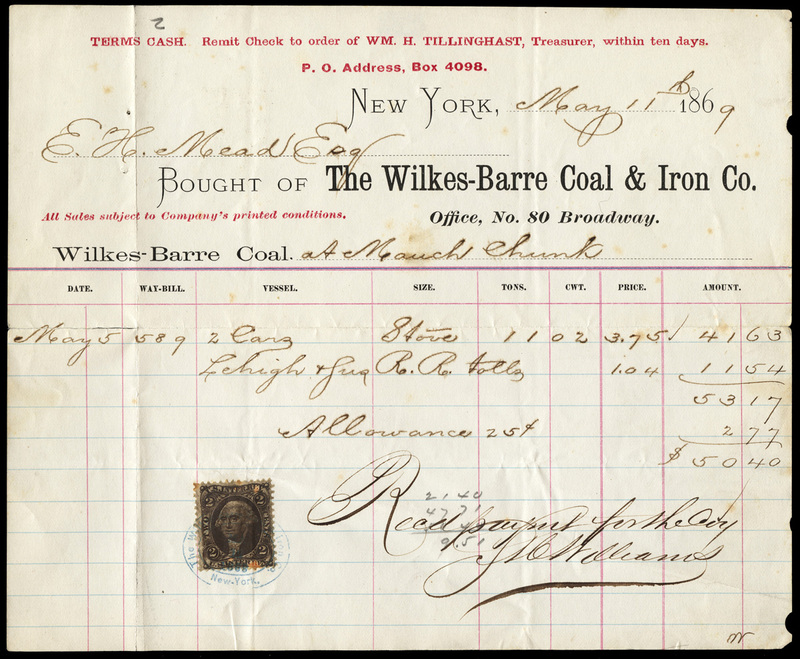 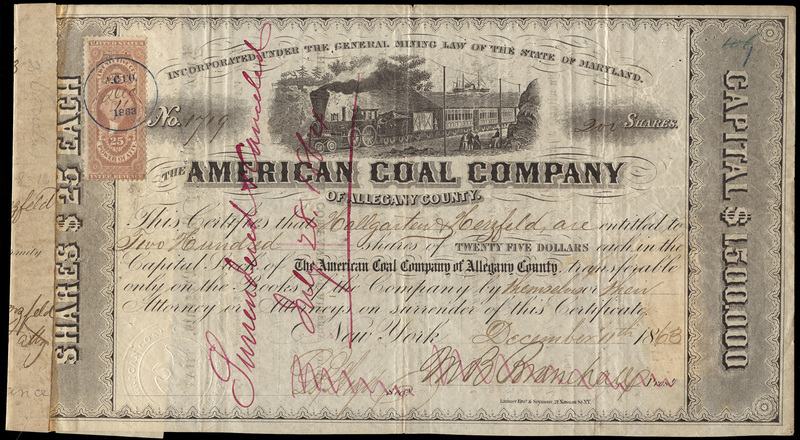 Empire Mill and Mining Co.
Fairmount Coal & Coke Co.
Mammoth Vein Coal and Iron Co.
Preston Coal and Improvement Co.
Wilkes-Barre Coal & Iron Co.